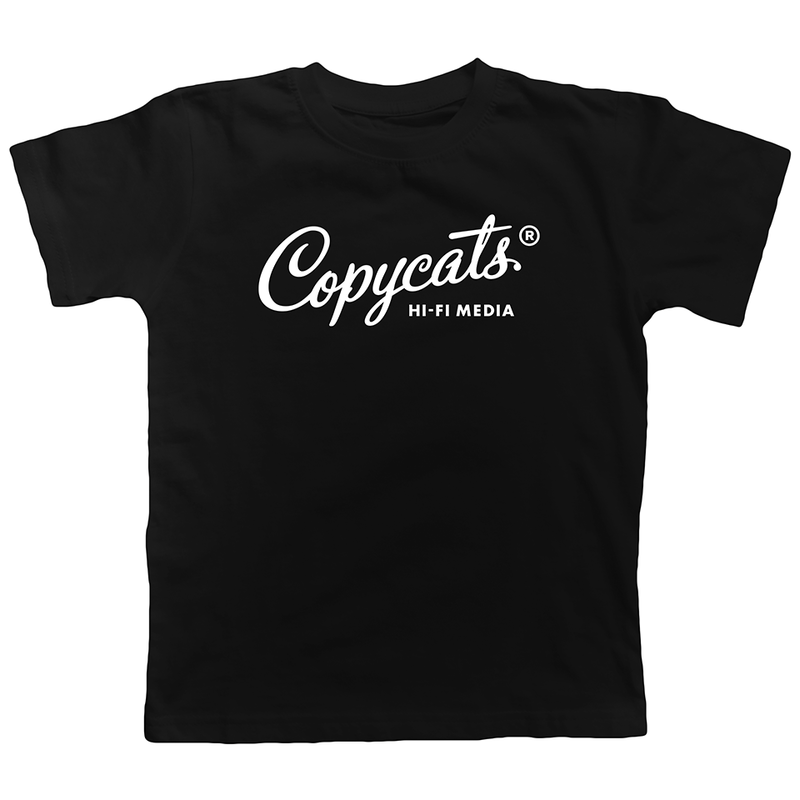 A black Copycats shirt, just like our souls. We’re not saying your soul is black, though. 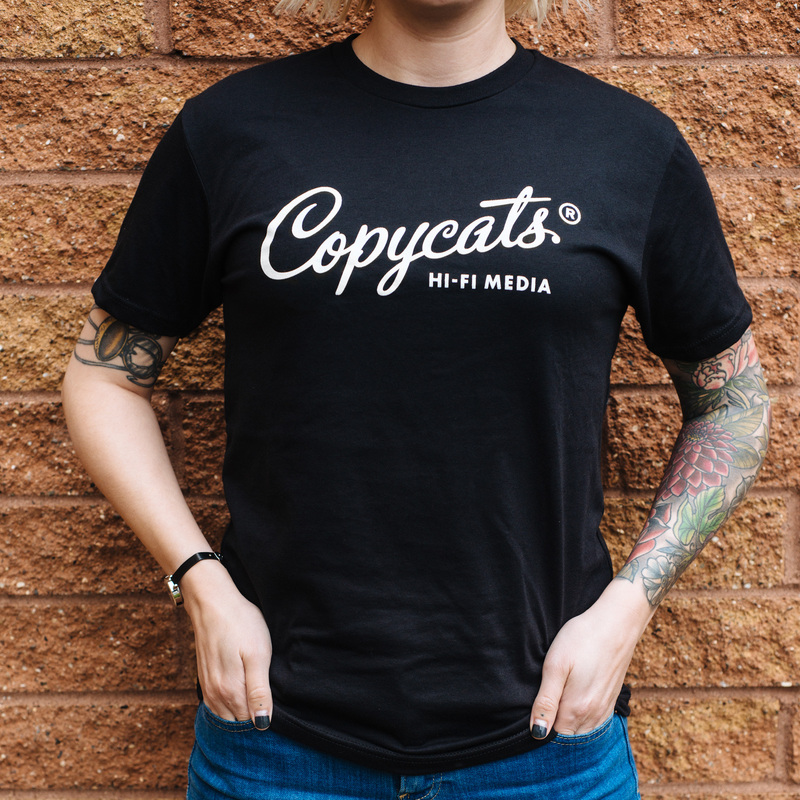 Buy a t-shirt and cover up that darkness. 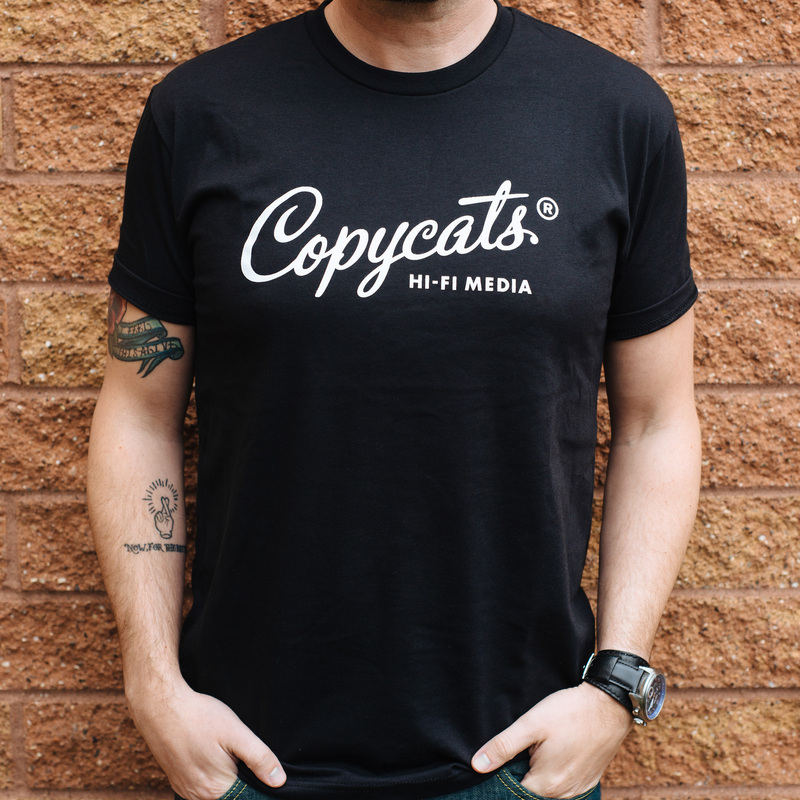 Brad is wearing a medium. Anna is wearing a small.